Update April 28, 2017: The AMD RX 480 is getting on for a year old now, with a new half generation card appearing, in the shape of the catchily titled RX 580, to operate as its direct replacement. So, is there any point in looking at this aging card. Turns out, yes there is. The old man of the Polaris generation has still got it, topping our list of the best graphics cards to buy right now. The Radeon RX 480 was the first of the AMD Polaris generation and was built from the ground up for DirectX 12. 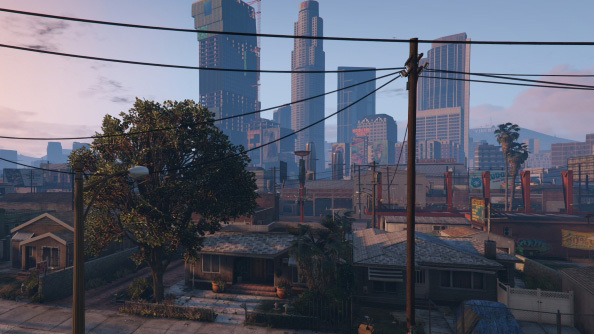 It was also the first ground-up reworking of their Graphics Core Next (GCN) design in years. Key to AMD’s fresh design was the production shrink of the smallest transistors in their GPUs down to a rather miniscule 14nm lithography. For the last five years graphics lithography had effectively stalled, stuck on the 28nm process. That made increasing performance while also improving efficiency a major stumbling block for GPU designers. As you jam ever more complex silicon into a graphics card and run it at ever higher clockspeeds the amount of energy needed to power them rises massively. That’s something you can see in the new Radeon 500-series of cards. Both the RX 580 and AMD Radeon RX 570are sporting increased TDPs as a result of them both sporting higher clockspeeds than the first-gen Polaris cards. The industry expected a shift to 20nm a few years back. But thanks to difficulties in producing stable circuitry at that level, at a price point that was even vaguely affordable, we were stuck with the increasingly geriatric 28nm node for far too long. 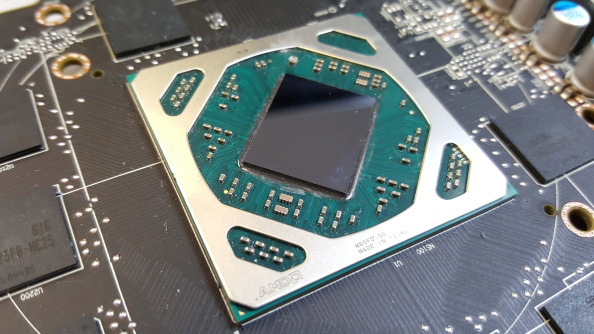 AMD were relying entirely on the arrival of the 20nm process to reduce the power draw of their GCN chips; with it missing-in-action their GPUs started to look like power-hungry dinosaurs compared with the lithe Maxwell architecture Nvidia produced in lieu of a shrink in the production process. The green team had seemingly seen the tiny 20nm writing on the wall and put all their design efforts into maximising Maxwell’s efficiency, to great effect. Thank the silicon gods then Samsung and Global Foundries perfected their 14nm FinFET production process and allowed the GPU race to get going again. FinFET? That’s essentially the same technology Intel has been using for years in its Tri-Gate 3D transistors, a micro-engineered miracle enabling the industry to circumvent the electrical leakage you get with teeny-tiny componentry. But all we really need to know is that with the switch to an itty-bitty transistor lithography you can either jam loads more transistors into a chip to make beefy graphics processors or stick to previous levels and bask in the increased efficiency you’ve just created. Which route did AMD take with the Radeon RX 480? It was all about efficiency. AMD decided to switch things up with Polaris, going instead for the mainstream jugular rather than straight for the high-end with its new launch. That’s almost the completely opposite approach Nvidia took with their Pascal GPUs, where they went big straight away with the ridiculously-expensive GTX 1080. The reasoning? AMD have said they’re specifically looking to lower the entry point of VR gaming by releasing a brand new mainstream card at an affordable $229 price point. As well as “making the next millions of gamers PC gamers,” or so claimed AMD’s Evan Groenke, Senior Product Manager at AMD. There is also the fact that this is where the big volume of graphics card sales reside, so it’s not a purely altruistic stance. AMD claim 84% of PC gamers only buy $100-$300 graphics cards, so if AMD can get the jump on Nvidia in this segment then they could shift a whole lot of GPUs. But this specifically mainstream approach is not without its pitfalls either. Historically you release your new GPU architecture with a big, speedy graphics card right from the off so you can immediately deliver unprecedented levels of graphics performance and cross your fingers the trickle down effect will have everyone salivating over what your more affordable versions will offer. When you go in at the mainstream, however, you’re pretty much just trading on pricing. The gaming performance your new GPU offers is likely to already exist in last generation’s higher-tier cards, only for more cash. So then, it’s almost a question of which gets your blood running faster: whole new levels of graphics performance or cheaper, more efficient GPUs? In these questionable economic times, and with Nvidia demanding a fortune, one kidney and your second-born child (not your first…c’mon, they’re not monsters) in return for a GTX 1080 Founders’ Edition, AMD’s choice was a pretty sensible one. Though with both the 6GB and 3GB versions of Nvidia’s GTX 1060 cards able to generally outpunch it the competition is tough. 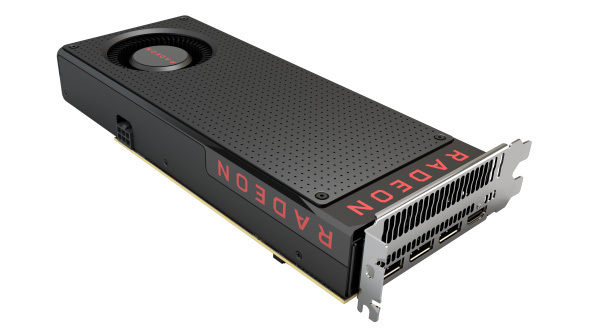 The RX 480 was the first of the new Polaris cards and comes complete with the full Polaris 10 GPU at its heart. There’s no chopped-off shaders here, the RX 480 has the full monty of 36 Compute Units (CUs), rocking 2,304 shaders and running either a 4GB or 8GB GDDR5 memory capacity across its 256-bit memory bus. As is their wont AMD released another Polaris 10 card, the Radeon RX 470, which offers a cut-down version of the RX 480’s chip. That comes with 32 CUs and 2,048 shaders, and stuck with a 4GB memory capacity on the same bus. AMD claimed that thanks to new memory and colour compression algorithms they were able to get the same level of performance out of a 256-bit memory bus as it did from the 512-bit buses of old. That spec places it between the last-gen Radeon R9 380X and R9 390, but because of the production process shrink the GPU itself is much smaller and yet still packs in 5.7 billion transistors into its 232mm2 package. It’s also able to run at peak levels using much less power than either of those last-gen cards too; sporting a TDP of just 150W. There’s only a single 6-pin PCIe power connection on the 8GB Radeon RX 480 card I’ve been testing. During the testing of the RX 580 we’ve rested both the RX 480 and competing 6GB GTX 1060 cards. Times change and so does the driver software and the gaming performance it can deliver to different GPUs. For the most part the GTX 1060 in 6GB trim outperforms the RX 480 across our benchmarking suite. There are the odd exceptions which, importantly, lie around the modern, low-level graphics APIs. Both the DirectX 12 and Vulkan performance of the AMD card are generally above the GeForce GPU’s pace. It shows how prepared AMD were for this low-level API future and conversely how little Nvidia really considered it. That’s perhaps not surprising given that Vulkan is more or less a direct descendent of their Mantle API and that AMD have got their hardware already sitting inside both the major consoles of the current generation. Low-level APIs have long been used in console development, so that transition to the PC world sees AMD in a favourable position. On the whole the RX 480 is a pretty impressive 1440p graphics card, capable of batting around the all-important 60fps level at even the highest graphics settings in-game. That also means it’s a brilliant 1080p GPU and capable of delivering a certain amount of future-proofing with that unprecedented mainstream frame buffer. The difficulty for the RX 480 now though is the amount of competition out there right now. The Sapphire version of the RX 570 we’ve been playing with is often mighty close in terms of gaming performance with the RX 480. Even the 3GB GTX 1060 manages to post some impressively competitive benchmark numbers at the 1080p level. The extra video memory of the RX 480 though does show in the more demanding titles and the higher resolutions too. There’s also the RX 580 which is set to replace it. That, however, is more likely to be seen in overpriced, factory-overclocked SKUs given the mature Polaris 20 chip’s ability to be clocked higher than this last-gen GPU. With all that said, however, the RX 480 can still be found for a lot less than either the GTX 1060 or the RX 580 and that gives it some hope. 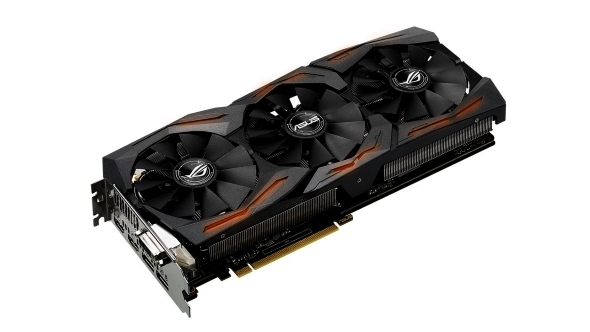 The subsequent RX 480 we’ve tested is the Asus STRIX version, sporting their impressive cooling array. We were able to pit both RX 480, RX 580 and GTX 1060 against each other using that same cooling and power design, allowing us to make a really tight comparison between them. It shows that with the right cooling both the Polaris and Pascal GPUs can be clocked highly and with whisper-quiet cooling too. But the best bit? None of that hideous electrical chip-whining that can set your teeth on edge. Score. In terms of overclocking though it’s a little less interesting. The reference Polaris 10 GPU was running close to its limits at its 1,266MHz Boost clockspeed, and we barely got anything extra out of our reference card. I’ve spoken to other GPU testers and they managed less than a 10% clockspeed bump, which hardly translates into any extra performance – there’s precious little headroom to play with here. Even the overclocked Asus card is barely much over the standard clockspeed, offering a top speed of 1,330MHz in OC mode. 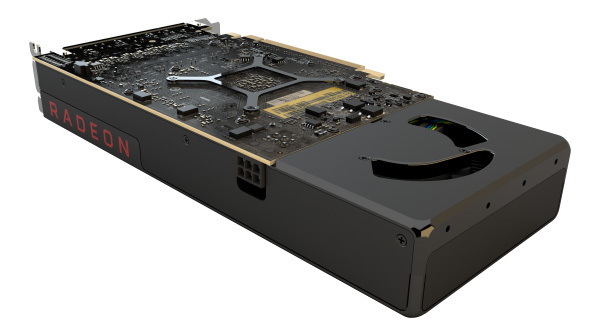 The power draw of the relative Nvidia and AMD cards though shows that the Radeon engineers have still got some work to do in getting their GPU efficiency improved. The Pascal cards demand far less power, and that’s most starkly shown by the significantly quicker GTX 1070, in overclocked Galax EXOC trim, still chewing through a lot less juice than either the first or second generation Polaris GPUs. 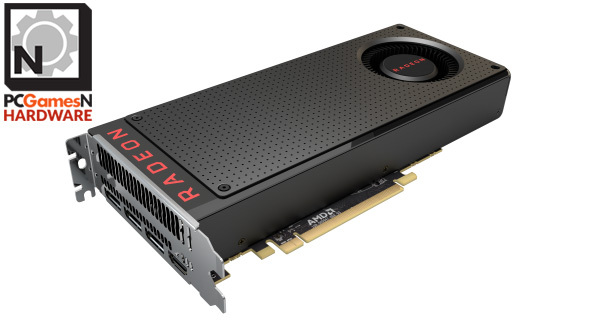 AMD took a calculated risk with the RX 480, releasing it as their inaugural GCN 4.0 graphics card, rather than opting for the more traditional stance of releasing their fastest GPU first. The cynic may say that’s because theydon’t yet have the single GPU performanceto best Nvidia’s GTX 1080, but even so it was still worth AMD getting in early and hitting the volume, sub-$300 market before the competition. The high-end arena has been long vacated by AMD, but fingers crossed the upcoming AMD RX Vega cards will fix that. If I was just basing this review purely on the RX 480’s current DirectX 11 performance though I could have simply filled this page with a GIF featuring a gentle shrug of my shoulders. The RX 480 delivers about what you’d expect from a generational GPU update, yet brings little new to the DX11 table in terms of performance. Thankfully that’s not all this older AMD card, with its 4th Generation GCN architecture, has to offer. 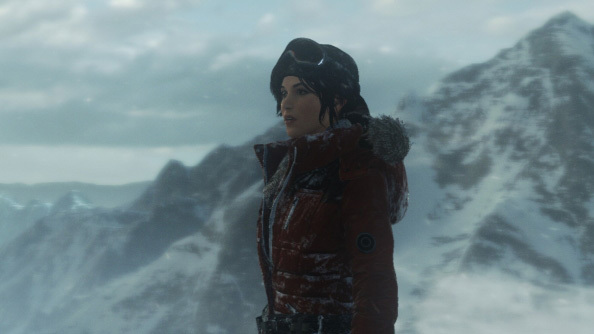 AMD’s background work with their low-level Mantle API has set them up perfectly for a future in which DirectX 12 has been so heavily influenced by their own original approach. So, who should consider the new RX 480 for their next GPU upgrade? 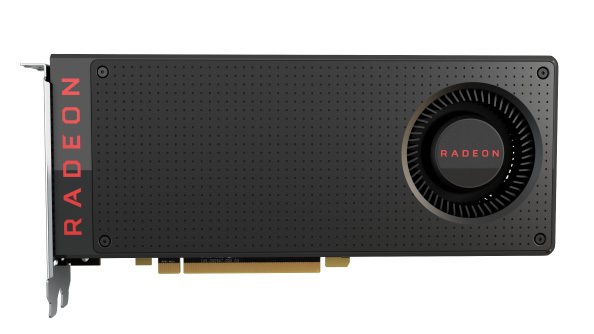 If you’re eyeing up the $200-ish price point then the RX 480 is a great option. It’s still cheaper than the competing GTX 1060, making it a great-value GPU, especially if you’re really into Doom and Hitman or just want to play Vulkan or DX12-based games at high frame rates. While the the RX 480 costs less than a GTX 1060 then we’re sorely tempted to opt for the Radeon instead because of its future-proofing for next-gen APIs.